IAVA is proud to announce the recent addition of four new veteran staff members to our team of dedicated professionals. Take a look at their brief bios, personally introducing each of these remarkable individuals. Steven Padilla is IAVA’s new Field Coordinator in San Diego, California. Steven is responsible for the new and growing #VetTogethers initiative, which encourages community building through member-led monthly events, and will also act as a RRRP Liaison. Steven became an OIF veteran when his unit deployed to Kirkuk, Iraq conducting Route Clearance and earning a meritorious award for the highest find-to-detonation ratio in Northern Iraq. Daniel Dowd is our new Finance and Operations Director, working out of IAVA’s New York City headquarters. He believes that operational efficiency, competence and technology play an important role in creating a successful workplace so that staff can devote more of their time and energy to executing IAVA’s mission. Daniel has an extensive background in operations within the education, government and private sectors. Daniel is an OIF veteran, having served five years in the Armed Forces as an intelligence analyst and Arabic linguist. 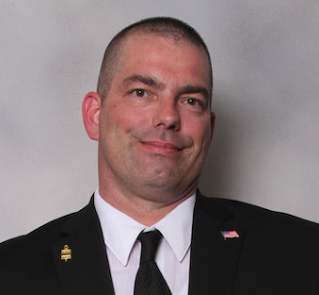 Vadim Pasynyuk is IAVA’s newest Veteran Transition Manager (VTM) for California. Vadim provides referral services to veterans and their families in order to connect them with internal and external service providers to address housing, employment, child care, financial assistance, mental health and other needed services through IAVA’s Rapid Response Referral Program. He received his MSW from Fordham University and served in the U.S. Army with two deployments to Iraq. Tracey Cooper-Harris was an active volunteer during Storm the Hill 2011, Pat Tillman Shadow Runs in Los Angeles and a RRRP Ambassador prior to joining IAVA as a Field Coordinator for the Los Angeles area. She hopes to work with agencies in local, state and federal government to ensure veterans and their families know about the benefits that are available to them. Tracey is a veteran of the US Army, serving from 1991-2003, as an Animal Care NCO. Interested in joining the team at IAVA? Check out the IAVA’s careers page and see what opportunities we have available!